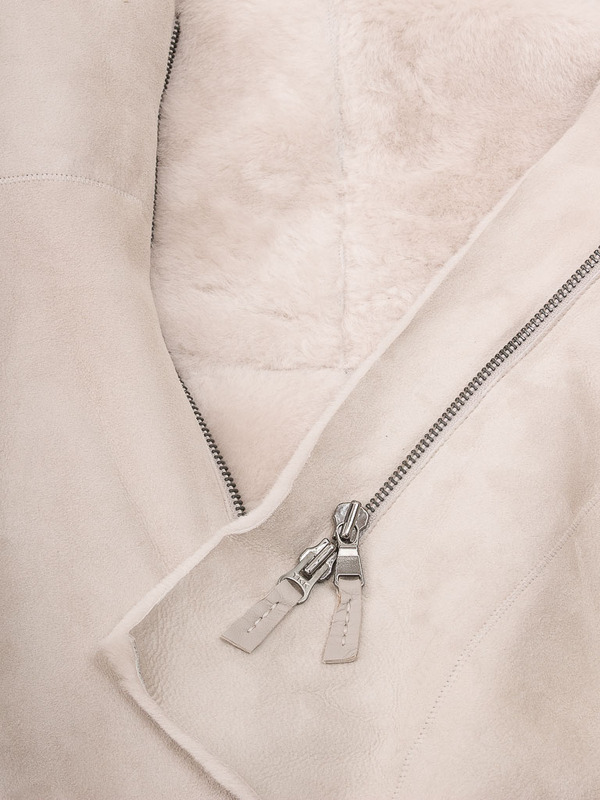 A soft sumptuous shearling sheepskin parka in a subtle beige. 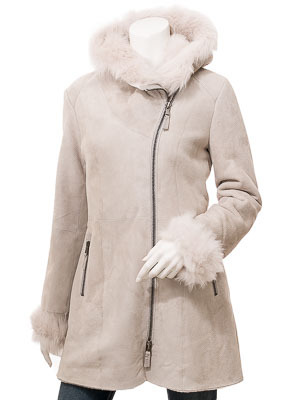 This coat is the perfect piece for a glamorous winter. 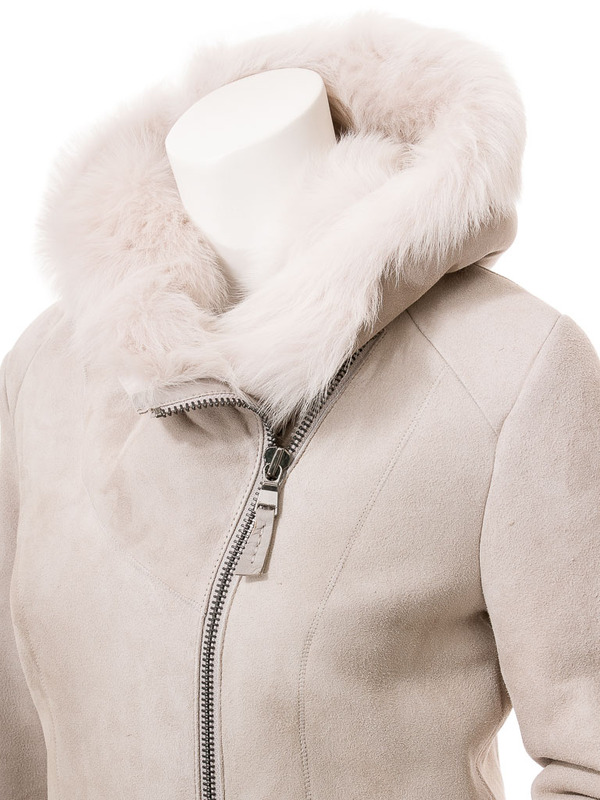 Crafted Longer length and crafted from the very softest Toscana sheepskin it features a double ended chrome YKK zip extending up asymmetrically to a generously sized hood which is lined with a long woollen fleece. There are two zipped pockets at the waist plus another, secret pocket inside. 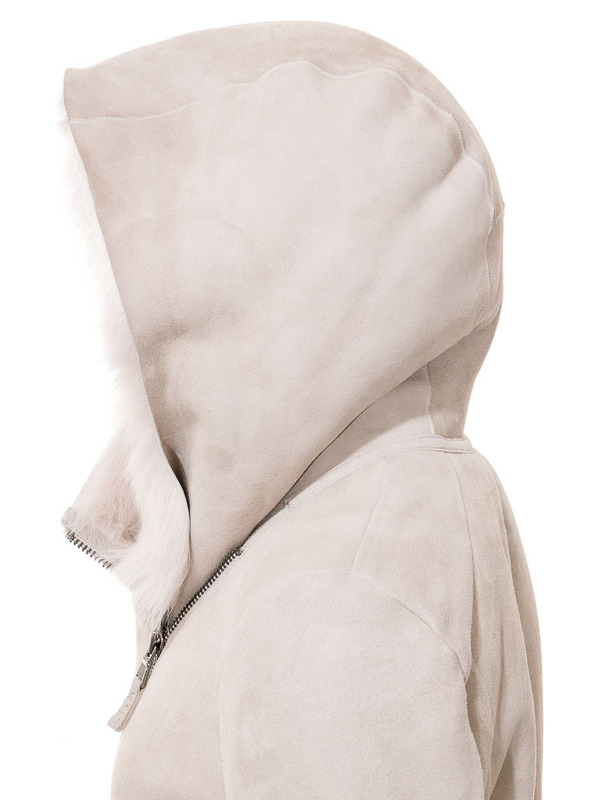 Like all genuine sheepskin coats this is entirely lined in the woollen fleece side of the skin. This creates a coat that is incredibly warm and feels amazing next to the skin.